What do you get if you pour boiling water down a rabbit hole? Hot, cross bunnies. Women on boards – the construction angle. Arch Daily produces beautiful women in Arch time line. The Costly Business Of Discrimination. Placed - Influencing young people about the built environment. 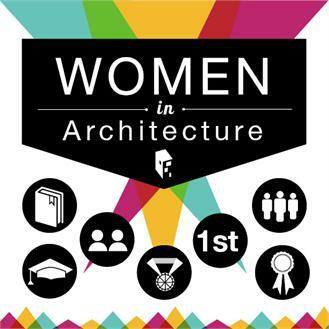 The finalists for the AJ’s inaugural Women in Architecture Awards have been announced. 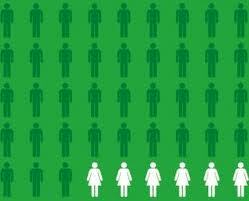 Constructing Equality Blog - What is the business case for diversity in the construction industry? It's Easter time already and whilst we are wondering where the first quarter of the year has gone we are also pretty excited about the rest of it. A number of interesting developments have been made in the area of construction and diversity including a new strategic fairness inclusion and respect group for industry looking to provide leadership to the sector, also construction skills have created tool box talks on diversity which are free to download from their website. Constructing Equality have also been on the receiving end of the good news stick, we are happy to announce that our Managing Director Chrissi McCarthy will be undertaking a PhD out of Loughborough University sponsored by Vinci Construction; looking at the business case for diversity in the construction sector. For those who can’t wait three years for the full thesis we have put together a short blog regarding some of the current arguments. Also if you have a free second please do complete the construction skills questionnaire regarding the support your company needs from the sector skills council regarding diversity, after all if you dont tell the sector skills council what your business needs you cant expect to receive it. On March the 11th we attended the first fairness inclusion respect leadership group for the construction industry. The group picks up from the Construction Diversity leadership forum which was set up by the Equality and Human Rights Commission in 2009 after their report into race in the construction industry. The aim of the group is to make a difference to the construction by providing strategic leadership on fairness inclusion and respect . The group, which is chaired by Judy Lowe, will be supported by a number of action groups. The initial meeting focused on terms of reference and direction the group should take. As the Industry Training Board and a partner in the Sector Skills Council for Construction, CITB-ConstructionSkills is committed to addressing fairness, inclusion and respect across the construction sector. As part of this work, we are considering a range of Fairness, Inclusion and Respect Products and Services to support the sector to meet the requirements set out in the Equality Act 2010 and help them to benefit from the business benefits that a diverse workforce brings. This survey will provide us with a more robust understanding of the issues facing organisations and companies relating to fairness, inclusion and respect and help inform us of the support the sector requires to effectively address these issues. The results will be collated by the University of Salford, Centre for Construction Innovation. A report will be drafted detailing the outcomes to the questions. The report will be freely available on the ConstructionSkills website in approximately 3 months time. The Davies report came out last year looking onto the percentage of women on FTSE 100 Boards, it found that female representation averaged 12.5% of board members and whilst it decided against quotas it urged companies to take up the target it has set to achieve 25% representation by 2015. Whilst numbers still remain low (15.6 representation) progress has been significant and if we continue at this rate we are in line to meet the goals set. Two new reports were released to show the progress Women on Boards and The female FTSE board report – milestone or millstone? We should be mindful that research has found change is only apparent when there is 30% female representation less than this figure will not result in any real benefits to profit, turnover and return on equity. Here at constructing equality we thought we would break down the women on boards update to see what the picture is like for the construction industry. Construction companies should take steps to attract more women in order to meet the industry’s need to attract top talent, according to the findings of a survey conducted by CITB-ConstructionSkills. The survey, which was carried out during National Careers’ Week, (5 – 9 March), showed that most respondents (60%) felt it was important for employers to attract more females into construction in order to 'attract more talented individuals' (47.5%) and to ensure that the workforce better reflected society's demography (13%). For those who thought it was not important for industry to do more to attract women (9%), most suggested that activity in this area was 'just political correctness'. The Guest Editors welcome theoretically informed papers on any aspect of Equality, Diversity and Inclusion (EDI) in the construction industry, from any country. They particularly welcome submissions which move beyond a business case argument for EDI and beyond existing evidence outlining the barriers faced by women working in construction. They also welcome papers from researchers from outside the sector, but whose empirical research and theory from their own field may apply to EDI within the construction industry. In addition, papers which examine gender (including masculinities), ethnicity (including whiteness), disability, age, sexual orientation, gender identity, class and religious belief or how these intersect are welcomed. Prospective contributors are encouraged to contact the guest editors Kate Sang or a.powell@unsw.edu.au before submitting a full paper. First draft submissions due 1 June 2012. We all know that in construction the 40 hour week is often considered something of an impossible idea, but with the increasing issues we are faced with around attracting new talent, retaining the workforce and not to mention health and safety; isn't it time we looked at this again? This blog has some really interesting links to research that considers what we actually get out of our workforce for the time that they put in. We would be very interested to hear any of your experiences regarding working hours in the industry, please feel free to email us. "150 years of research proves that long hours at work kill profits, productivity and employees"
"It’s a heresy now (good luck convincing your boss of what I’m about to say), but every hour you work over 40 hours a week is making you less effective and productive over both the short and the long haul. And it may sound weird, but it’s true: the single easiest, fastest thing your company can do to boost its output and profits — starting right now, today — is to get everybody off the 55-hour-a-week treadmill, and back onto a 40-hour footing". We were impressed by this aesthetically pleasing time line from Arch daily showing the progress women have made within the profession. They ask that we understand the history of women Architects in order to develop a way of moving forward and we would agree with them. Chief Executive of WAMT Niki Luscombe, is due to leave after three years at the helm, Niki (pictured) is moving on become Chief Executive of a charity in Kent which works to prevent domestic violence. She says : "Working at WAMT was my first Chief Exec role in voluntary sector and has given me a brilliant introduction to equalities issues in male-dominated industries. I'll miss the WAMT team and members as I move onto pastures new". The trustees have appointed Andrea Kelmanson as Interim Chief Executive. Andrea works as a consultant on organisational development, and will conduct a full review of WAMT over the next few weeks. Ivor Goodsite is by no means new he has been around for a while serving as a mascot to the brilliant Considerate Contractors scheme. It is though only recently that I stumbled upon his website and found the resources available for children to help them engage with and understand how dangerous building sites can be. He also visits schools so I would encourage you to take a look at the resources available. Whilst being American, rather general and specifically looking at the impact on those from the Lesbian, Gay, Bisexual and Transgender communities, this report has some lovely information on how discrimination can affect your bottom line. I strongly suggest that you have a look as the findings can be applied to other groups within industry. ConstructionSkills have developed a new set of 4 toolbox talks on the subject of Fairness, Inclusion and Respect. These excellent toolbox talks are available as a free download from the CITB ConstructionSkills website. They cover the following area's: "Acceptable Language", "Health, Work and Wellbeing", "Respect" and finally "Your Responsibilities". PLACED was founded in 2011 as a result of a belief that all young people should be given the same opportunities to influence, be inspired by and learn about the buildings, public spaces, parks and streets which make up the towns and cities which we occupy. They have a database of ambassadors ready to visit schools and let young people know what the industry has to offer. Must be female with Civil Engineering sector experience. Rumour has it the organisation is Balfour Beatty. The First Women Awards, created by the CBI and enterprise magazine Real Business to recognise pioneering UK businesswomen, have added a Built Environment category to the ceremony this year. The new award aims to raise awareness of the groundbreaking work performed by women in what's considered to be a historically male-dominated sector. Nominations are now being sought and are open to women in all areas of construction and the built environment. Deadline for entries 13th April. Winners will be announced at a ceremony at the Connaught Rooms, London on June 28th, which will be hosted by sports personality and presenter Clare Balding. Thanks to the WAMT newsletter for spotting this. Shortlisted for Woman Architect of the Year are Zaha Hadid, Amanda Levete, Sarah Wigglesworth, Deborah Saunt (DSDHA), Cindy Walters and Michál Cohen (Walters and Cohen), Alison Brooks of Alison Brooks Architects, Roisin Heneghan (Heneghan Peng) and Clare Wright (Wright & Wright). The shortlist for the Emerging Woman Architect of the Year, a design award open to all women architects under 40, includes rising stars Jude Barber of Collective Architecture; Pie Architecture founder Fran Balaam and Pernilla Ohrstedt of Pernilla & Asif, as well as Make’s Katy Ghahremani, Sophie Goldhill of Liddicoat & Goldhill, Hannah Lawson of John McAslan + Partners, Holly Lewis of We Made That and Nathalie Rozencwajg of RARE Architecture. Winners, including the recipient of the Jane Drew Prize for the greatest contribution to the status of women in architecture, will be announced at the AJ’s first ever Women in Architecture Awards luncheon on 20 April at London’s Langham Hotel. Tickets cost £95. Read more about the judges and get your tickets here. Can cost alone justify an act of age discrimination? In previous employment law cases there have been conflicting arguments over whether an employer can justify discrimination on cost alone, or whether cost can only be considered if there are additional factors involved – the latter has become known as the 'costs plus' argument. The Court of Appeal has now provided further guidance on this issue. Women and Manual Trades run one-day Saturday courses for women in Carpentry, Plumbing, Electrics, Painting and Decorating, and Tiling. Each workshop is taught by a professional tradeswoman and is designed to give you the confidence to carry out basic repairs. You’ll gain a general understanding of your home systems and the insight to know when to call a professional. Places on all courses can be booked via the Store section of their website. They cost £75 per woman per day – this price includes all materials required, a light lunch, and handouts to take home. All the courses run from 10am – 4pm at the WAMT building near Old Street, central London. Do your construction skills need refreshing? Do you want to gain some industry-recognised qualifiations? If you're unemployed and living in the London borough of Camden, Kings Cross Construction's new three-day course could be for you. 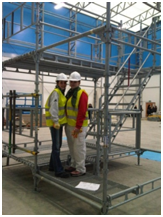 The course includes modules in scaffold tower erection, abrasive wheels, and manual handling. For more information and to register for the course, contact your local Job Centre or ring Jo on 0207 974 5161. No other profession can make the proverbial male measuring contest more visual and dramatic than architecture. Whether it is about being the tallest, most lavish, most modernist, most minimalist, most post-modernist, or most deconstructed, too many, but not all, of history’s celebrated architects come across like a bunch of juvenile boys standing on a stream bank trying to project their urine further than the next. BeOnsite took the opportunity of National Apprenticeship week in early February to promote young women seeking apprenticeships. 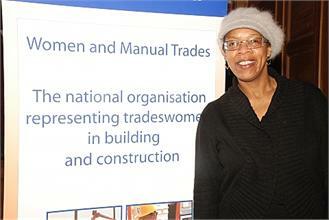 Women were represented in Painting and Decorating, Carpentry and Plumbing at the Southwark College skills showcase. They put together a female team for the National Construction College apprenticeship challenge event. This required them to follow a drawing to build a bridge using a proprietary scaffolding system. We fielded a team of young trades-women, mostly Painter and Decorators, who successfully completed the challenge. Employers interested in finding apprentices were invited to these events, and we are currently negotiating apprenticeship opportunities for several of these young women as a result. They ensure that all the women we put forward for apprenticeships are very well prepared, with the knowledge of what an apprenticeship involves, their CSCS card and the SLE or JTL test. They are currently promoting these women to firms that have offered apprenticeships to us in the past, as well as making new links. The main areas of apprenticeships currently offered are P&D, Carpentry, Electrical Installation and Plumbing so contact Kath or Ranjit.Samra@lendlease.com for more details. We saw this first on the Places Matter newsletter. 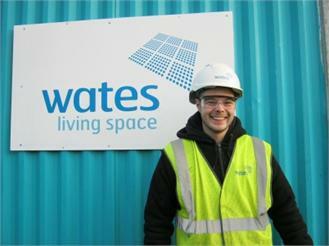 Wates Living Space has given jobs to 26 previously unemployed people since it began work on the £113m Gateways to Oldham residential project in December. Wates is building 317 new homes and refurbishing a further 322 for Oldham Council through the Inspiral consortium, which also includes Regenter and Great Places Housing Group. The agreement for the 25-year private finance initiative was signed in November 2011. The contractor said further job opportunities would become available for local people within Wates' supply chain, totalling 1,239 weeks paid employment. Unpaid placements will also be provided, totalling 312 weeks. Roles include junior engineers, site labourers, site administrators, joiners and CAD designers. Wates is working with J21, a local labour initiative that aims to address construction skills shortages and support local economies, as well as Oldham College and Hopwood Hall College. Steve Jackson, regional managing director of Wates Living Space, said: "I am pleased to see we are already making a significant impact in the borough, transforming communities through both physical and social regeneration." Michael Dibden from Chadderton is now a site labourer on Primrose Bank. He says: "It's great to be given the chance to work on what is such a big and important project for my home town. I've been made to feel really welcome and have already learned such a lot from the Wates team. This was the career kick-start I was looking for." Women's college and social enterprise centre Blackburne House has formed an agreement with social landlord Liverpool Mutual Homes. The agreement will see Blackburne House Maintenance, set up as part of Blackburne Houses' construction academy last September with a £75,000 donation from the Esmé Fairburn Foundation, work with LMH to provide tenants a choice of male or female operatives in the delivery of maintenance. Women undertaking training in Blackburne House's construction and training academy will be offered work experience which can lead onto employment opportunities. BH Maintenance provides plastering, tiling, decorating, joinery, bricklaying. The Stonewall Workplace Conference is Britain’s leading conference on sexual orientation equality and diversity in the workplace. This one day event held in London on the 20th of April will give you all the tools you need to stay at the forefront of best practice in sexual orientation equality. Theresa May MP, Home Secretary and Minister for Women and Equalities is the keynote speaker and the event will include practical breakout sessions and networking opportunities with over 500 individuals from various professional backgrounds. Whilst the conference is not construction specific it is a great opportunity to gain some best practice ideas and look at how you can improve your business. Book your place on the Stonewall site. An organisation for women working in the construction industry has been launched in the North East and new members from all areas of construction and related trades are invited to join. The North East group of the National Association of Women in Construction (NAWIC) is the only group for women in construction in England, north of Manchester and has been set up in recognition of the increasing number of women now operating in the sector in this region, having celebrated their launch on the 29th February this year at the newly refurbished NE40 Studios, home to GradonArchitecture. Members include architects, engineers, quantity surveyors, project managers, lawyers and others working both directly in the industry and providing services to the industry. 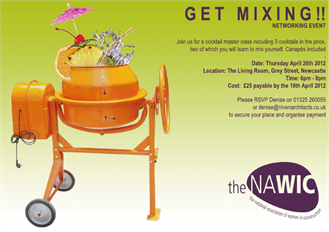 There’s a chance to meet the members of North East branch of NAWIC at a cocktail party on Thursday 26th April 6 – 8 pm at The Living Room, Grey Street Newcastle upon Tyne. If you can go you really should we have always found our american cousins to be supportive and positive. Even if you cant attend why not get in touch anyway and forge a link? his national conference is being piggy-backed to the Women Building California conference, which is heading into its 11th year. That very successful conference brought together about 350 tradeswomen each year for two spirited and educational days of workshops and networking. The conference costs are kept extremely low to enable as many women as possible to attend. Registration, if paid before March 31, is $75 per person. This fee includes breakfast, lunch, snack and reception on Saturday, and breakfast and snack on Sunday. Dragonfly Productions is the award-winning company behind hit television series “The Family”, “One Born Every Minute”, “The Hotel” and “World’s Toughest Trucker”. They are now making a six-part popular history and engineering series for Channel 5 called “Beat the Ancestors”, in which a team of male and female engineering enthusiasts will be challenged to rebuild iconic inventions that have changed history. These machines might include siege engines, gunpowder mills, early automobiles or invasion crafts. The chosen team will have just two days to design and build their machine. Crucially, after 48 hours the machine will then be tested against history. Key to the challenge will be to see whether their modern knowledge can improve upon the original design. We are looking for five men and women to take part who have a real passion for engineering, as well as the skill and ambition to recreate and better historical innovation. Ideally you will have some experience of mechanical engineering, restoration or carpentry, either as part of your daily job or as something you do for fun. And if you do it with friends, get them to apply too! If this seems like an exciting challenge that you would relish, please fill in the online application. Our thanks to UKRC for spotting this. Endemol Television is an independent production company, and the makers of shows like Restoration Home. They are currently developing a new programme which will follow ordinary people building their dream homes - and they're seeking experts in construction who may be interested in presenting it. You'll need some expertise in building, plus confidence in front of a camera. For more info contact Arjun Singh Panam on 0121 604 6900 Ext 224. Tiger Aspect are developing a new show in which trades experts will go into hazardous homes and identify dangers. Researcher Lizzie Ackerman says : "Each week a home owner, seeking reassurance about a specific problem, will agree to let us MOT their whole house. We’ll have our team of experts inspect and repair the damage". If you're a plumber, electrician, or builder and are interested in taking part in the show, call Lizzie on 02075299535. Places for People is one of the largest property management and development groups in the UK. Their property maintenance division is expanding to include Hampshire, Berkshire, Surrey and Dorset, and they currently have vacancies in a range of trades, from plumbing and electrics, to general maintenance. Employees get access to a fantastic benefits package, and have the chance to develop both personally and professionally through the company's learning and development programme. For further information on available vacancies click here, or contact the recruitment team on 01772 897224.